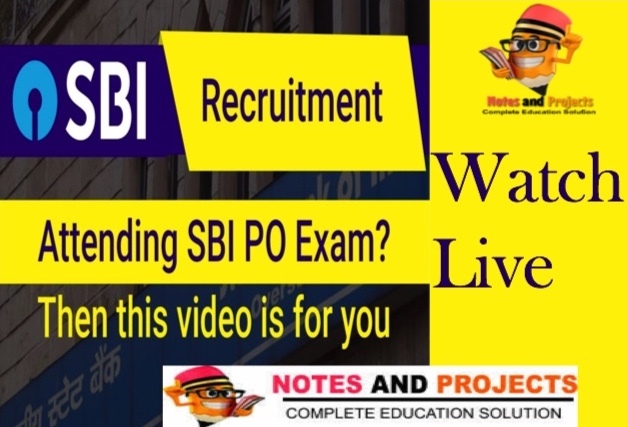 Hello Friends, NOTES AND PROJECTS brings you latest video on SBI PO BANK EXAM AND DISCUSSION OF PREVIOUS PAPER ALONG WITH STRATEGY TO CRACK BANK EXAM. For any query and suggestions, or if we missed any point here related to the video you can use our comment section given below. As your feedback is very important and useful for us. Tagged #adda247 video download #bank po exam full preparation video course free download #free notes #free pdf download #how to prepare english for sbi po 2018 #how to prepare for sbi po 2018 #ibps po #sbi po 2018 #sbi po strategy IBPS latest govt. jobs notes and projects Sarkari naukri SBI P.O.